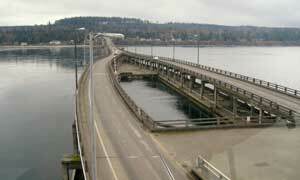 The East side of the Hood Canal Bridge in Washington State was replaced in May 2009. The redevelopment of the Hood Canal Bridge resulted in a rare opportunity to obtain a series of well-preserved floating concrete pontoons. 0742909 B.C. 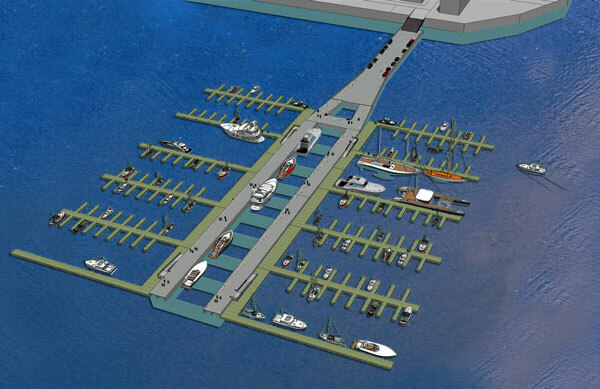 Ltd, a British Columbia company, dba Seagate Pontoons, purchased the former pontoon sections of the east side of the floating bridge. On behalf of Seagate Pontoons, Marker Developments of Greater Victoria is managing the project of refurbishing them and selling the pontoons for reuse. 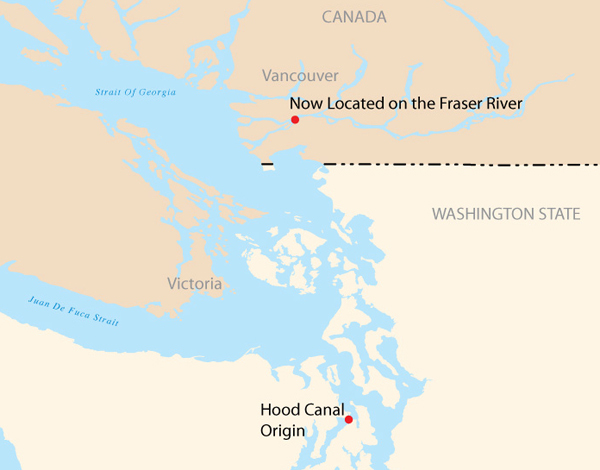 The pontoons have been moved from Hood Canal to an industrial location on the Fraser River where they are being refurbished. 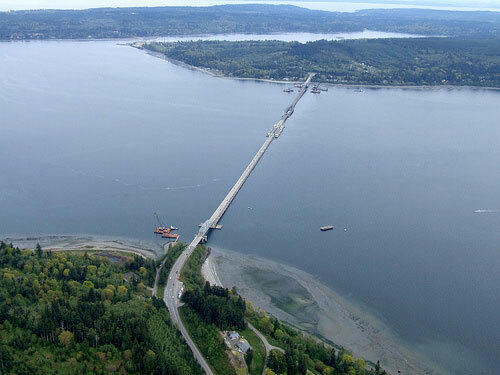 Permanent floating bridges like the Hood Canal Bridge are useful for water-crossings where it is not considered economically feasible to suspend a bridge from anchored piers. There are only 11 permanent floating bridges in the world, with four of them in the Puget Sound region, and one in Kelowna, BC, the W.R. Bennett Bridge (the Okanagan Lake floating bridge).